Back Row: W.J.Hunt(Linesman), A.W.Twyman, S.F.Attwood, Capt.C.Fielder(Committee), J.Williams, G.J.Knight, G.T.Rigden(Vice-chairman), E.J.H.Prescott(Committee). 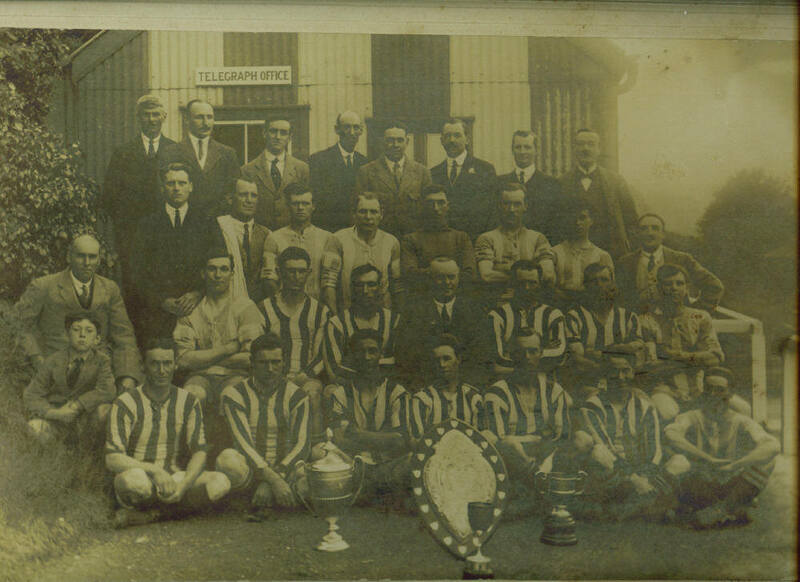 Second Row: F.C.Cook(Assistant honorary secretary), R.J.Cartwright(Trainer), T.Kirby, J.Davis(Captain, 'A' team), G.Small, E.Godden, C.A.Horton, W.Newman(Committee). Third Row: F.G.Tapley(Honorary secretary and treasurer), A.Smith, R.E.Strickland, H.Smith, H.R.Geddes(Chairman), J.Hall(Captain, 1st.team), H.Woods, E.C.Bailey. Front Row: G.Howard, R.H.Standen, R.R.Gladish, B.M.Ridgwell, A.H.Cook, J.Smallwood, F.W.Buzan.